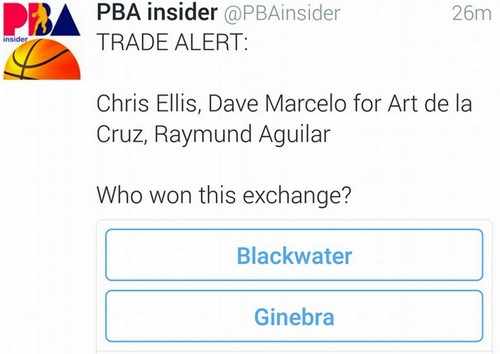 Ginebra and Blackwater engaged on a straight swap of players according to a tweet from PBA Insider. 4 Players are said to involved in the trade. And, it seems that Chris Ellis and Dave Marcelo will soon have more playing time in their soon to be new team. I'm happy for Chris. 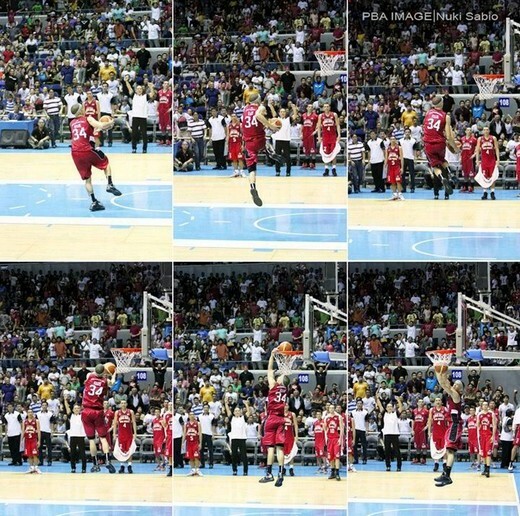 Hopefully he can now further unleash his slam dunking skills in his new squad.